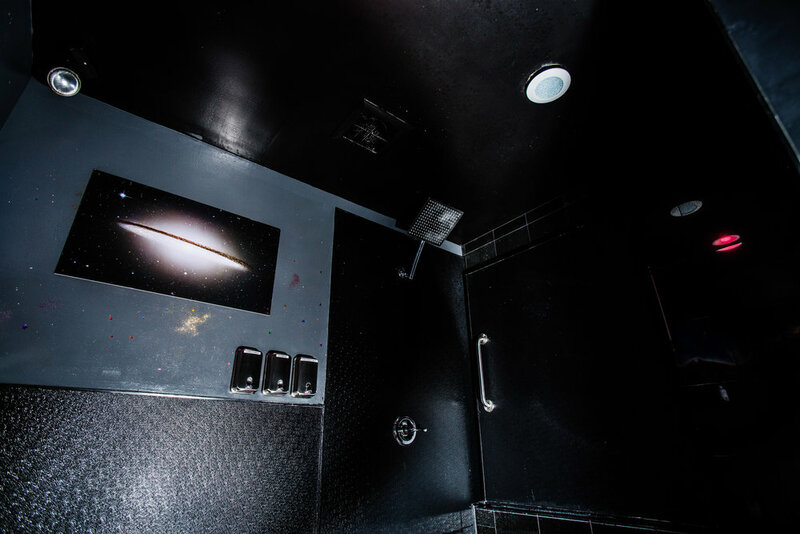 The Galaxy Room is a flotation experience like no other on the planet. The presentation of the room is..galactic. Black is the primary color throughout the room and accents are sparkles, pictures of nebula and galaxies, and inside the tank, a fiber optic star field that twinkles and changes colors / patterns so you feel as if you were adrift underneath a vibrant and colorful star scape. Of course, The Galaxy offers complete sensory deprivation, just like all of our floating pools. If you would like to reserve The Galaxy room, check it's availability on our Schedule!